Pride Fort Lauderdale is 40+ year old organization that produces an annual celebration and tribute to the LGBT community and its unique culture. Our friends at the Stonewall National Museum & Archives observe the 50th anniversary of the Stonewall Riots at their annual gala at the Ritz-Carlton Fort Lauderdale Beach. Actress and activist Kathy Najimy (“Sister Act”) will be the guest speaker for the gala, which also includes a silent auction, dinner and entertainment. Click hereto reserve your tickets today. 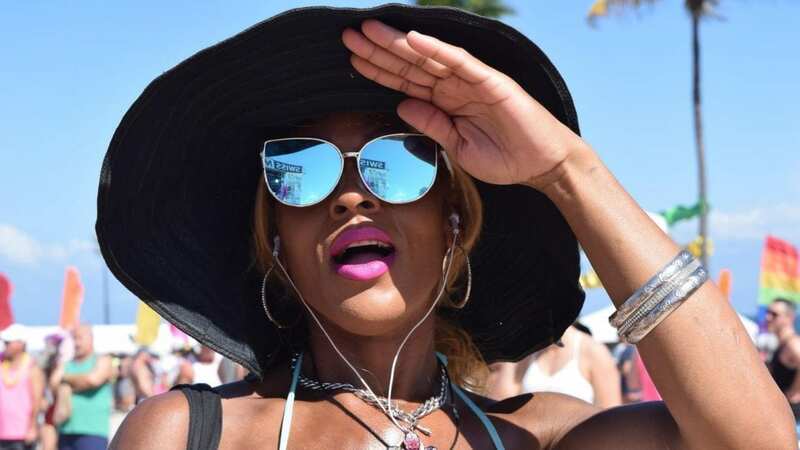 Pride Fort Lauderdale is teaming up with the South Beach Wine & Food Festival for a fabulous drag brunch at the Ritz-Carlton Fort Lauderdale Beach. National radio personality Elvis Duran will be your host, along with his fiancé Alex Carr and MC Shawn Palacious (aka Kitty Meow). Enjoy delectable dishes created by local celebrity chefs and performances by the region’s top drag queens. Tickets are $125 each. Click here to reserve your tickets today. Carnaval Street Party – 2 p.m. The festival gets started early at the many hotels and restaurants along SR A1A (and you can beat the traffic for the parade). Participating businesses will be offering entertainment, drink and food specials all afternoon. Check back for a complete list. We’re having a parade! 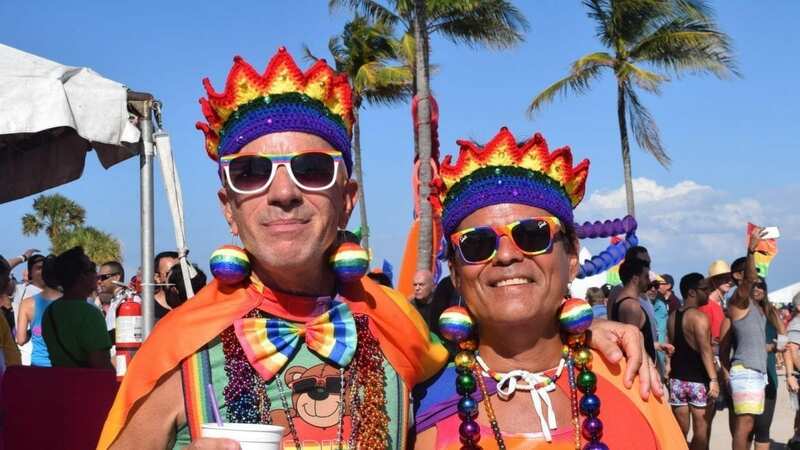 Pride Fort Lauderdale is hosting its first Pride parade this afternoon along scenic SR A1A, the FIRST parade ever held on Fort Lauderdale Beach. We’re expecting more than 80,000 spectators along the route, which runs from Sebastian Beach to Fort Lauderdale Beach Park. The parade will step off at 5:30 p.m. from Windamar Street and proceed down the northbound lanes of SR A1A to Fort Lauderdale Beach Park. Pride “Rocks the Block” – 7 p.m.
After the parade, head to 5th St. and SR A1A for a rockin’ block party. Dance the night away while enjoying live performances by your favorite local drag queens, musical acts and DJs. Beach Festival – 12 p.m. 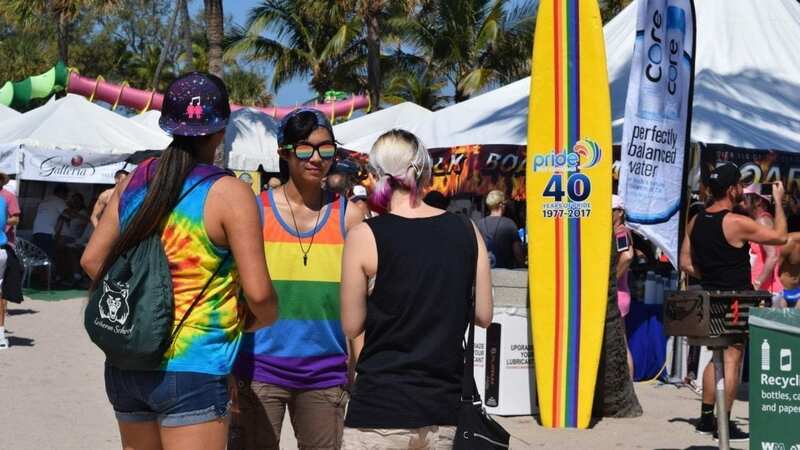 The Pride Fort Lauderdale Beach Festival once again returns to Fort Lauderdale Beach Park, Sunday, Feb. 24, 12 p.m. – 8 p.m. The festival includes world-renowned entertainers on TWO stages, more than 100 local and national exhibitors, food court, and of course, the world-class beaches of Fort Lauderdale. This year’s entertainment line-up includes American Idol fan favorite Ada Vox and the incredible Todrick Hall, YouTube personality, American Idol veteran and popular guest judge on RuPaul’s Drag Race. The celebration concludes at 7:45 p.m. with a stunning fireworks display on the beach.